A study called “Clinical Observation On The Effects of Acupuncture In Treating Diabetic Peripheral Neuropathy” comprising of 60 participants found that those receiving acupuncture had a greater improvement in neuropathy symptoms when compared to the control group. A Chinese study with 90 participants receiving body or wrist and ankle acupuncture had significantly improved blood sugar and lipids, decreased blood viscosity, and improved functions of peripheral nerve cells. This resulted in therapeutic effects for diabetic peripheral neuritis compared to the control group. Another study conducted in Africa in 2006 found that out of 126 patients who received acupuncture for diabetic peripheral neuropathy, 86% felt the treatment as being effective for reducing symptoms in their hands and feet. In a 2006 Canadian study titled “Acupuncture Treatment for Chemotherapy-Induced Peripheral Neuropathy – A Case Series” acupuncture was utilized in five cases to reduce neuropathic pain in cancer patients. The acupuncture treatment was effective in these cases where medication had failed. These studies illustrate the benefits of modern day acupuncture to those who suffer from diabetic peripheral neuropathy. “I have had tingling and numbness in my right hand and pain in both of my calves. I also have had very blurred vision (optic neuritis). I had to use a walker at the health club to get around. 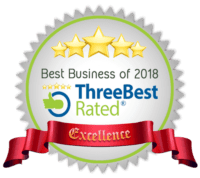 My sister, an acupuncturist in California, recommended that I find an acupuncturist that is an advanced Balance Method practitioner. After receiving acupuncture twice a week from Steven Sonmore I no longer have any numbness or tingling in my right hand. The pain in my calves has improved. I also have seen improvements in my vision when nothing else has worked. I have not used my walker for months. 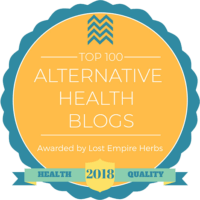 Steven has also helped me with herbs that have helped with constipation and headaches.” Naomi Commers, patient at Complete Oriental Medical Care. 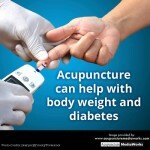 Traditional Chinese medicine has a long history of dealing with diabetes without modern drug therapy. This indicates that great effort has gone into alleviating the various symptoms of diabetes by natural methods. Diabetes is a common metabolic disturbance of the endocrine system resulting from absolute or relative insulin deficiency. In the US, 17 million people suffer from diabetes. * Of these, 5.9 million people go undiagnosed. All causes of diabetes ultimately lead to hyperglycemia. Other symptoms include extreme fatigue, blurred vision, itchy skin, frequent or reoccurring infections, cuts and bruises that are slow to heal and tingling &/or numbness of hands or feet. Approximately 10% of people with diabetes have Type 1 and 90% have Type 2. Type 2 is more common in overweight people over 40 years old. With Type 2 the pancreas does not produce enough insulin or there is insulin resistance. Milder conditions can be controlled with diet and exercise. A great exercise program for Type 2 diabetes is to swim, walk, or do yoga 4 times a week. 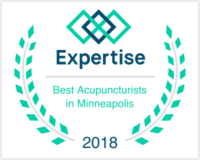 Some of our patients receiving acupuncture and Chinese herbs also experienced a significant decline in cholesterol, triglycerides, and beta-lipoproteins. For other patients who were using insulin, the insulin could be reduced or stopped altogether. If you or a loved one suffers from diabetic neuropathy and you live in the Minneapolis/St. Paul/ Twin Cities area call our clinic today at 612-866-4000 to set up your first appointment for optimal health. Or visit our contact page now.